It can be hard to find best foundation for fair skin. Over the past ten years, I have come across many people who have had this issue. Selecting a proper foundation for fair or pale skin can be quite a daunting task. 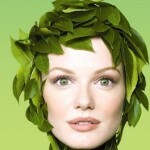 If you have sensitive skin, you may also want to check this article. Lighter shades aren’t widely available due to economic reasons. Stores in many countries don’t carry lighter shades because there aren’t many people buying them. What most of my customers told me was that they tried a lot of different kinds of foundations in the past. They tried their best to select the foundation for fair skin, but the shades never really worked for them. They always ended up with an “orangy” or unnatural look. My purpose of writing this article is to share with you some of the best foundations I use for fair and pale skin. I will only list those foundations that are widely available. They can also be purchased online. I have used these foundations on a LOT of people with fair skin, and the results were incredible. I hope you find my list helpful. 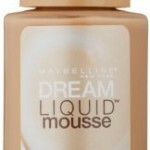 This is one of the best foundations for fair skin with satin finish. You can build it to full coverage. Apart from its daily use, it’s also a good foundation for weddings where a lot of photos are taken. Resulting photos are amazing! 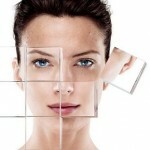 If you have combination or oily skin, it is perfect for you. Not so perfect if you have really really dry skin. Before applying this foundation, make sure you exfoliate and moisture your skin well. Read this if you need help applying liquid foundation. Over at Amazon, it has a rating of 4.4 out of 5 with numerous positive reviews. This foundation is highly recommended. 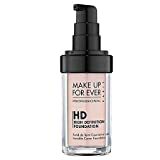 This foundation deserves to be on this list because it was designed specifically for individuals with fair and pale skin. Creators over at MAC developed this product for Irish skin. It has a rare neutral shade which suits a lot of people. Excellent for oily and combination skin types, and results in a matte finish. It contains oil-free formula, provides medium-buildable coverage, and comes with broad spectrum SPF 15. Rated as one of the top foundations over at amazon, you should definitely check this out! Not very expensive and works just as well as other foundations out there for fair skin. Two foundations that I have listed above may not work very well with dry skin. However, this one does! It works well on all types of skins. It has neutral pale shade, doesn’t make you look yellow or pink, and results in a fresh dewy finish. If your skin is really oily, you may want to powder that a little bit more. It is another one of the best foundations for pale and fair skin. Because it is available in many shades, you will definitely find the shade that works best for your skin tone. If you have a slightly pinkish undertone, check out the 107, 110 and 115 shades. These are going to work really well for your skin. 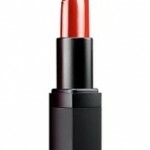 If you have yellowish undertone, then you should try the 117 shade. 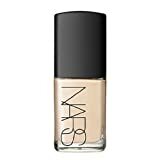 I have seen this shade to work really well, and it goes on really smooth as well. It provides medium to full coverage, hides many facial imperfections, and evens out your skin-tone. Check it out! It is one of the best drugstore foundations available for fair skin and pale skin. It comes in two different formulas designed for dry and oily skin. You should know your skin-type before you select this product. 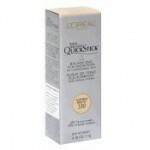 This foundation makes use of a special time release technology to help fight excess oil or dry skin throughout the day. There are many shades out there for you to choose from; but Ivory works best for pale and fair skins. 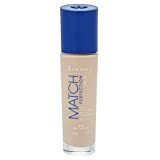 Rating of this foundation is 4.2 stars out of 5, over at Amazon with plenty of positive reviews by consumers. It’s a cheaper alternative to foundations listed above, do check it out. There you have it. 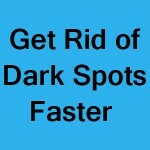 I hope the information shared via this article helps you find a best foundation for fair skin. If you have any question or concerns, let me know. Thanks for reading!